What started as a one day event in 1998 has turned into what some people call the “MX Woodstock”. It’s a gathering of family and friends and what they love most – dirt bikes, hosted at Southern California’s iconic Glen Helen racetrack. It attracts some of the fastest racers in the world, the who’s who of the moto industry and everyday racers out for some fun. In September 2018, Red Bull Day In the Dirt made its way Down Under for the first time, attracting over 600 riders and 2,000 spectators to South East Queensland. 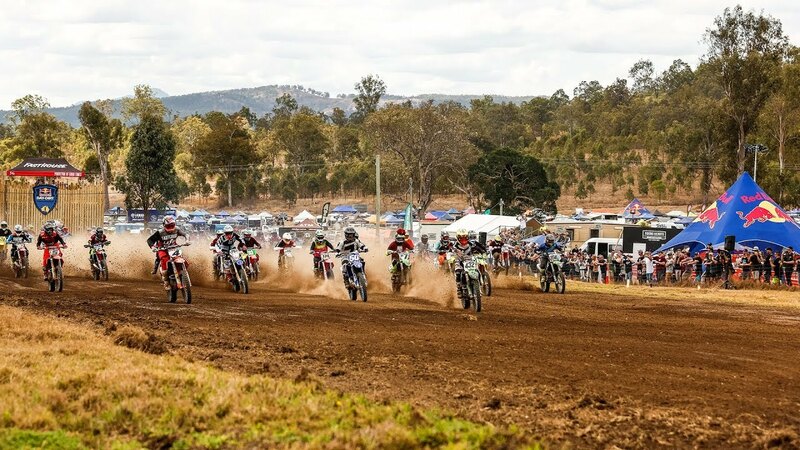 In 2019, the event will return to the primed Queensland Moto Park from August 29 – September 1st, with over 900 riders set to line up at the start. Don’t miss out. You ready to get dirty? Here’s what went down in 2018. With racing to cater for your style and your ride, we’ve got events that bring the Pro’s and the Joe’s together over three days of epic racing and good times. Find your event and bring something fast! When the racing stops, we’ve got you covered for a good time.